The last code release of new miniatures in the Von Rotte Legion is here! 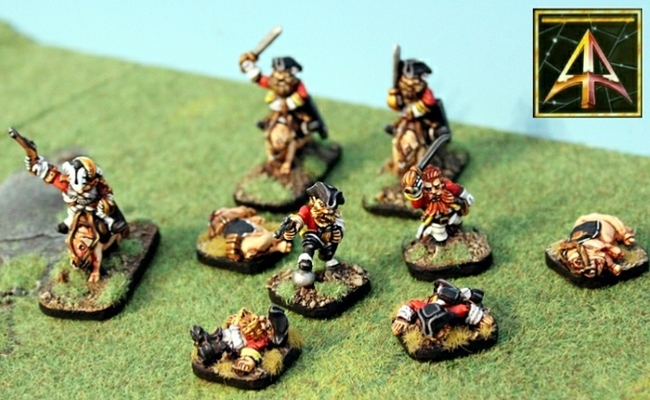 Light Infantry Dwarves in 28mm for Flintloque and Slaughterloo. A fantastic eight pose in twelve miniatures set in white metal. Click through to see more as well as more images. Lovely, really lovely. Its a day for the dead in Flintloque. Two new packs released. Von Rotte Dwarf Casualties and Pummilig Riding Pig Casualties. You can now have fallen troopers and mounts in your games. Both 28mm white metal packs contain four miniatures in two poses. Click through for more information and images. 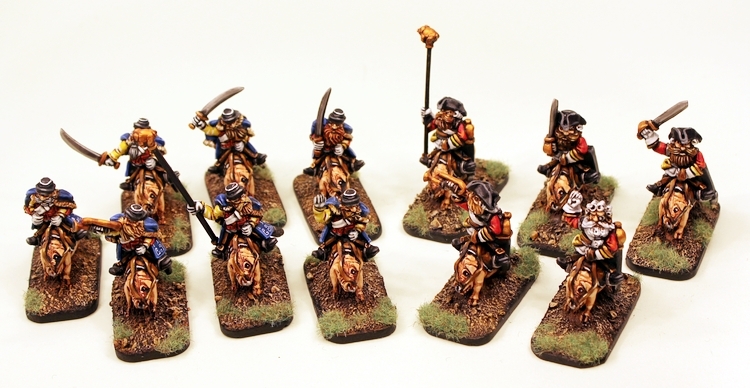 Two full 28mm Dwarf Cavalry units released for Flintloque and Slaughterloo. Von Rotte Hussars and Von Rotte Cuirassiers. 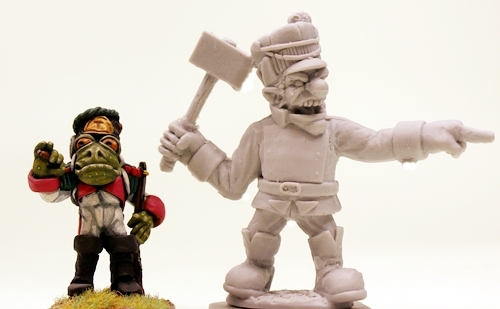 We are really happy with these white metal and resin miniatures and we hope you are too. Click through to read more and to see more images. Now released for Flintloque and Slaughterloo, the next Von Rotte Legion code, 52518 Von Rotte Artillery Crew. 28mm miniatures. Six Dwarf Gunners and two Limber Pigs. Click through to see many more pictures of this set and to read about them. Great character filled miniatures from Alternative Armies as we build toward the whole new army. Now re-mastered and re-released in resin with a fifty percent reduction in price, as well as a whole Divisional Army Pack which is bigger and cheaper than before, Alternative Armies presents to you the Trolka. The biggest soldiers in Flintloque. Read all about it in the linked post and see pictures. Thank you all for the kind words about the high quality of our resin castings.